The Workshops Bunny hops in for Easter fun! 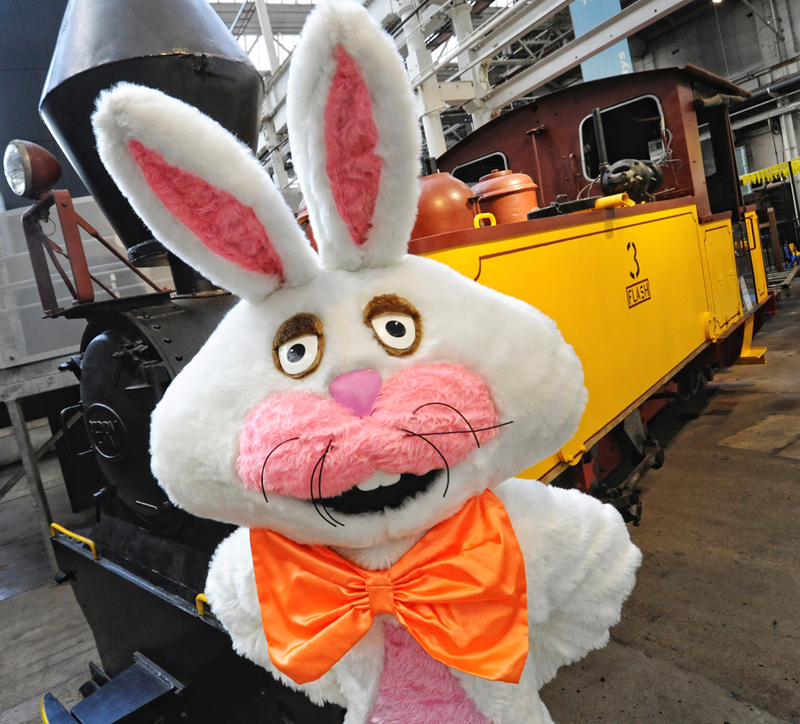 The fun and magic of Easter are set to be hopping good fun with The Workshops Rail Museum’s Bunny Eggventures event, 24 and 25 March 2012. The Workshops Bunny is looking forward to the early festive celebration with familiar and new enthusiastic visitors. Helping The Workshops Bunny out, and always good for a sing-along and dance, the entertaining and jovial Bush Galah can’t help but get a crowd joining in the festivities. Director of The Workshops Rail Museum Andrew Moritz said Bunny Eggventures is a fun event for families to enjoy and get into holiday mode. “This is a weekend of fun with interactive activities, cute little friends to meet, sing-alongs, DIY photo opportunities with The Workshops Bunny, and Easter treats to receive,” said Mr Moritz. A special treat for urban children is the opportunity to meet cute and cuddly animal babies from 10am to 3pm. Popular with young creative ones, the Eggsploration Station will have visitors busy creating Easter themed craft to take home. Enjoy a free trip around the Museum grounds on The Workshops Express land train, or see the Museum from another height on the bouncy train. To top it off, free face painting, balloons and temporary tattoos complete the celebrations. “All Bunny Eggventures activities are in addition to the permanent interactive exhibits and displays at The Workshops Rail Museum including train simulators, the hands-on kids train-themed Nippers Railway playground, and the huge model railway of Queensland,” Mr Moritz said. The Workshops Rail Museum, celebrating 10 years this year is winner of Australian and Queensland Tourism Awards for Heritage and Cultural Tourism, and is part of the Queensland Museum network celebrating 150 years in 2012.